A LIMERICK artist is using his talent for painting to capture dramatic scenes from the yellow vest protests in France. What started as a protest over a rise in fuel tax, has spiralled into a social storm which has brought France to a standstill. The yellow vests, or Gilet Jaunes, are motivated by rising fuel prices, the high cost of living and claims that a disproportionate amount of the government’s tax reforms are landing on the working and middle classes. Following four consecutive weekends of violent protests, President Emmanuel Macron will address the nation tonight at 8pm local time (7pm Irish time). Eric Duhan, who is originally from Wolfe Tone Street in Limerick, has been living in France for the past 30 years. Mr Duhan has witnessed first hand the growth of the movement since its beginning in November. 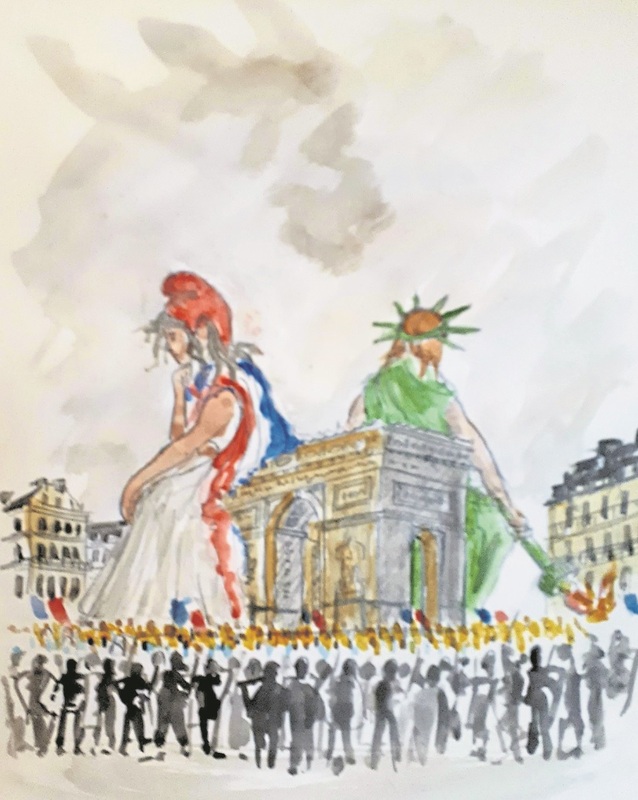 The Limerick man attended the initial protests in Paris and was inspired to capture in paint what he has seen in the French capital as well as in Avignon, in South East France, where he currently resides. “I am an artist. All art is political, otherwise, it is decoration for the bourgeoisie. I am 100% behind the protesters, but I am 100% against the looters and far right/left stone throwers,” said Mr Duhan. 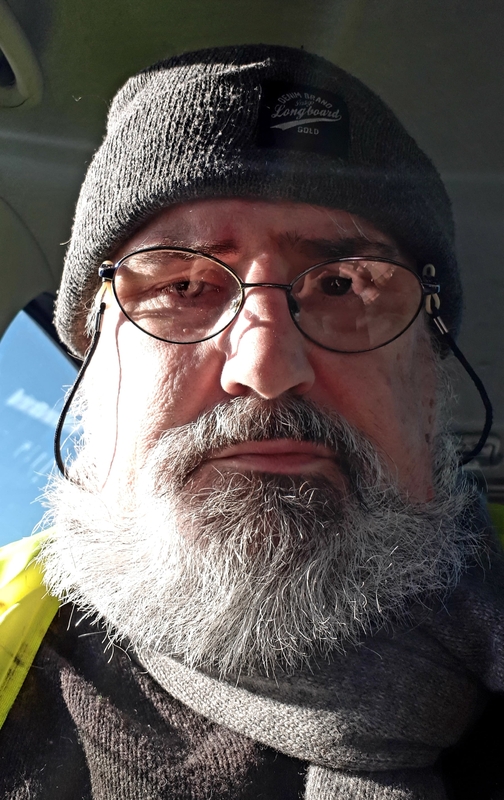 “I am 64 and not very mobile, but I do help out and support. I produce my artwork which is posted by the yellow vests and presented on the roundabouts,” he added. The protests have grown since November, seeing hundreds of thousands take to the streets across France. The yellow vest was chosen as a symbol because all motorists had been required by law to have high-visibility vests in their cars when driving. Mr Duhan is from extremely creative stock. His brother Johnny Duhan is a songwriter famous for the song The Voyage and other brother Mike, is famous for his Dockers Monument sculpture opposite Bishop’s Quay in the city. He described tension as “palpable all over France”. “It’s deeply intense, like the All-Ireland final in hurling, Gaelic football and the English Irish rugby matches all rolled into one," he said. “People are more angry than frightened. The genuine protesters feel that justice is on their side,” he said. Many of these protests have seen violent clashes with police, with thousands being arrested, hundreds injured and one person dead. Mr Duhan says the violence is due to a minority of protesters and looters, and that majority are peaceful protesters without political links. “I don't think that more than 1% maximum of the protest falls into the far right or left lunatic fringe, the ones who throw things at the police. “The yellow vests are not a homogeneous movement but they all agree on one thing, the arrogance of Macron,” he said. The Limerick artist believes that the protest could result in a change at the head of the French Government. “This is a real revolution, do not be fooled into thinking otherwise. I am sure that Macron will try his best to spend his way out of the problem but I do not think it will work, it has gone too far,” he said. Mr Duhan says he expects the movement to spread into over countries throughout Europe. “The yellow vests have started to appear in Holland, Belgium, Germany and other places. I am only surprised the Irish have not taken up the challenge,” he said.